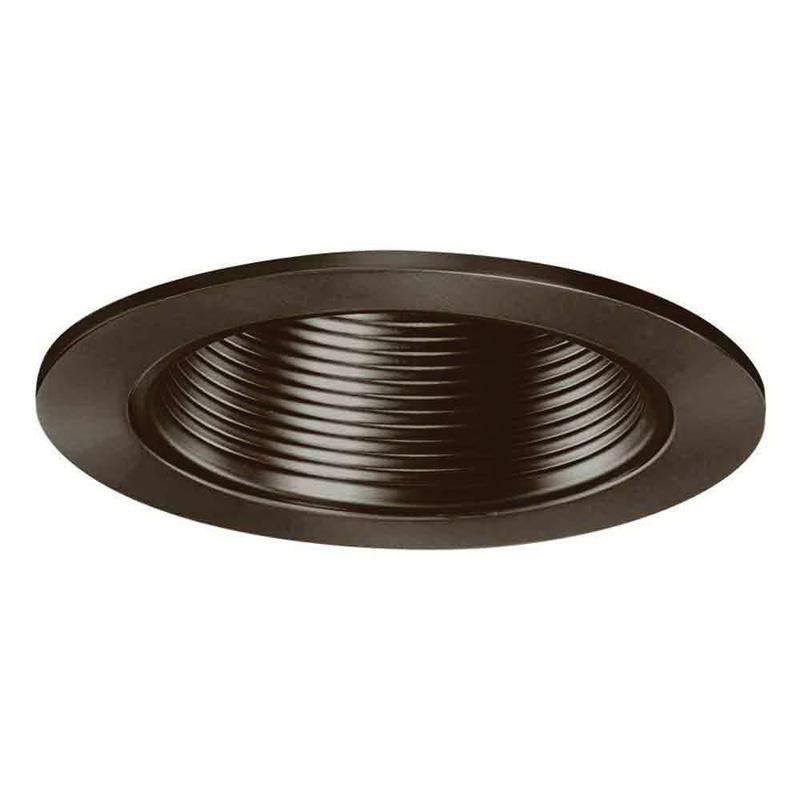 Halo 4-Inch Round metal baffle trim in tuscan bronze finish, features die-cast aluminum construction. It accommodates 40-Watt A-19, 35-/50-Watt PAR20, 30/50-Watt R20, 13-/18-Watt triple twin tube or 4-Pin CFL lamp. It comes with tuscan bronze baffle. It measures 5-1/16-Inch OD x 2-5/8-Inch.